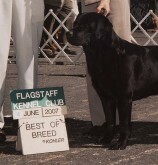 An Arizona Labrador Breeder since 1994, our goal is to bring out the best qualities that Labrador Retrievers and their puppies have to offer. We are a small hobby breeder, not a business. 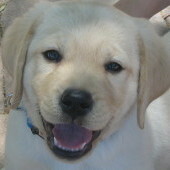 Our passion is to produce puppies that have a purpose! We are always striving for that “perfect Lab” that can do it all and look great doing it. They are bred to be great companions and family members first, but are also capable of working as therapy or assistance dogs, performing in the field retrieving birds, competing in agility trials, Dock Diving,Disk Dogs ... the possibilities are endless for our puppies! We plan each of our top quality yellow, black and chocolate English Labrador puppies with genetic soundness, temperament, confirmation and work ability in mind. We stay within AKC guidelines and standards while also maintaining proper height and length proportions — no super-sized or minis here. We expect the best for our pups and you can expect the best from us. We will be here for you long after you take your new baby home! Our puppies deserve the same great long & healthy life that their relatives enjoy. We start them on a wafer of NuVet Plus a day as soon as they are weaned. 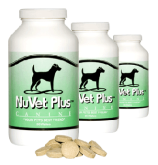 Clients are required to continue with NuVet Plus suppliments for at least the first two years of their puppy's life as part of our Hip and Health Guarantee. Click here to order, or order by phone at 800-474-7044 — be sure to use code 93311 for discount pricing!